Nestled between the Pirin, Rila and Rhodope mountain ranges, Bansko is located at the foot of the Pirin National Park, listed in the World Register of Natural Heritage. It is a climatic mountain resort with a short hot summer and long mild winter. Snow falls are abundant, providing a constant winter snow cover up to 2 m thick. The region is famous for its cuisine and colorful folklore and offers various entertainment opportunities. The access to Bansko is convenient even in winter conditions. The distance to the nearest airport – the Sofia Airport – is 160 km, and is covered in just 2 hours by car. Bansko is the youngest and the best developed ski resort in Bulgaria. The skiing conditions are excellent. The slopes offer runs and tracks for all types of skiers, from starters to experts, and the ski runs are maintained in excellent condition. The resort is equipped with machines for artificial snow. The two major ski regions of Bansko – the lower called Chalin Valog (1,100 – 1,600 m) and the higher Shiligarnika (1,700 – 2,500 m) – are situated above the town, on the northern slopes of the Pirin Mountains. Slalom and giant slalom runs are available in the Shiligarnika region. The total track length is 75 km with plans to expand this to 95 km. A gondola lift provides convenient access from the town to the ski slopes, a further lift is planned for the next season. 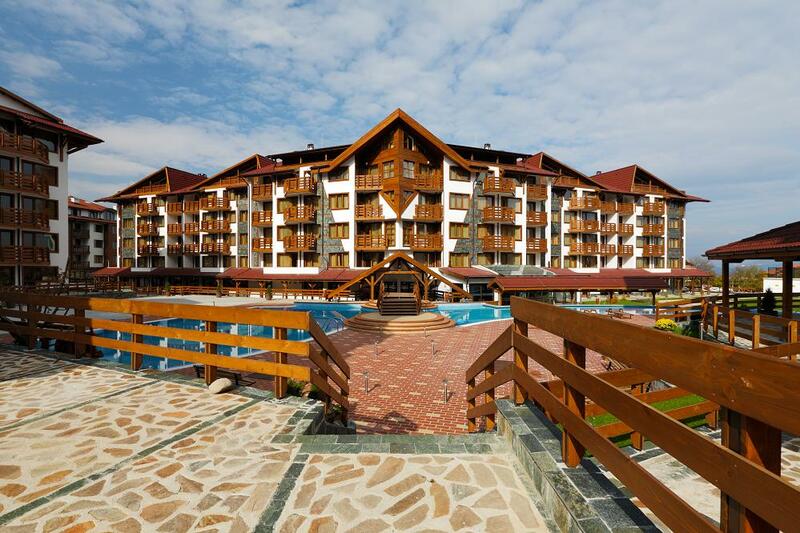 Bansko is a great place to visit during the warmer months from May through October. The Pirin National Park combines breath-taking views with excellent opportunities for hiking and sightseeing, including plethora of lakes, waterfalls, caves and historical sights. The town and the nearby villages are known for their healing mineral water springs, providing opportunities for rest and relaxation. The town of Bansko attracts visitors with its 120 cultural monuments. It is famous for its fortified and artistically decorated houses, museums and the Bansko School of Art. A very interesting site is the Holy Trinity Church, with its 30 m high bell-tower and clock, splendid murals and woodcarvings. Every August Bansko hosts the National Jazz Fest. Museum houses and collections, souvenir shops and romantic holiday residences, hotels and taverns complement the unique atmosphere of this splendid Bulgarian resort. 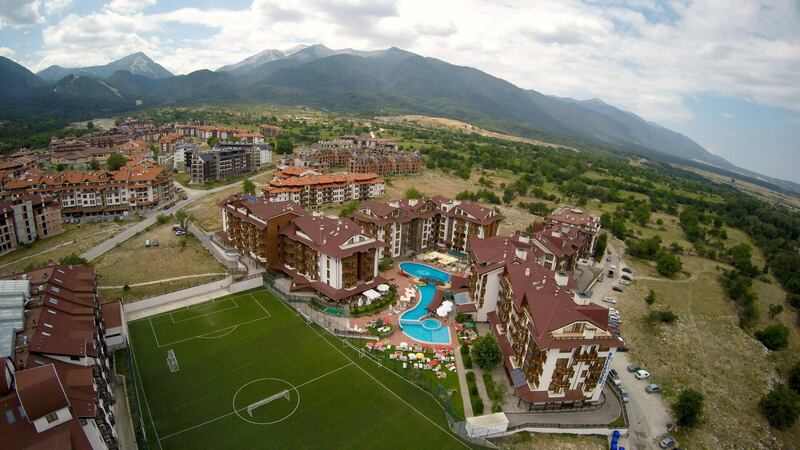 Bansko has attracted exceptional tourist and investor interest in the last three years. 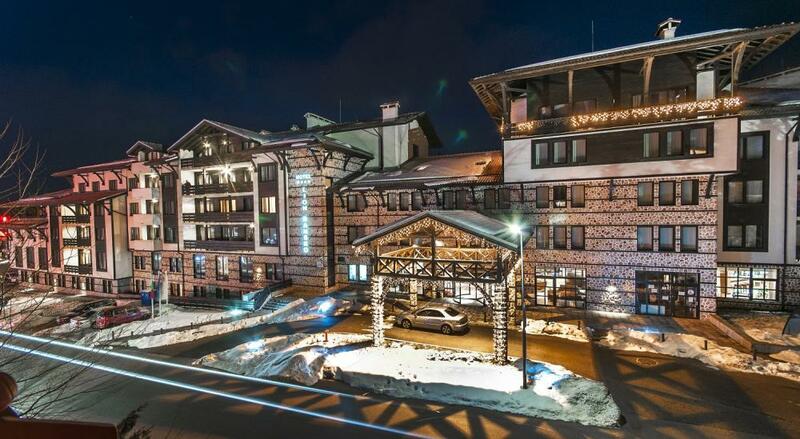 Among the most notable developments are the expansion and modernizing of the ski runs and equipment, as well as the construction of new hotels and residential developments. Regardless of the increased capacity, Bansko is generally fully booked during the winter months with Bulgarian, Macedonian, Greek and British tourists making up the bulk of the visitors. With its year-round activities, rich history and traditions, and mineral water springs, Bansko represents not only an attractive tourist destination, but also a great opportunity for the seeing investor.